With the dynamism of the EV sector in Canada these days, some initiatives – in the private sector, at government level and with EMC – are worth to be looked at from up close. The whole EV industry can be proud of the 2017 Q2 results of EV sales in Canada. Numbers are up 70% year/year (first half of 2017 versus first half of 2016). For the first time since early 2013, Ontario sold the most EVs. Globally, there are close to 37,000 EVs on the road. 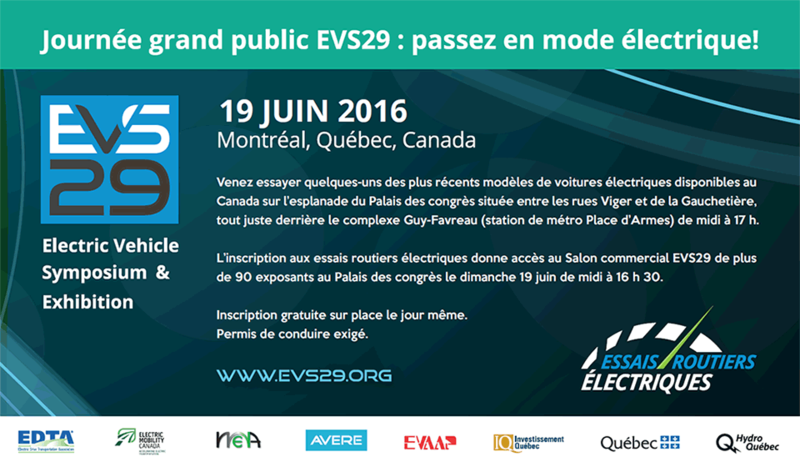 Quebec still has the lead in total number of EVs, with 44% of all the EVs in the country being in this province. On a percent-of-sales basis, BC and Quebec continue to lead at roughly 1.2% of sales being electric. Ontario is at just over 0.7% but catching up. There are now 40 different models of plug-ins registered in Canada. We all know that incentives do matter, as continuous deployment of infrastructure. Having more available models to satisfy diverse consumers’ needs follow very closely to increase demand. We also all agree that much more efforts on raising awareness and effective regular communication to reach all potential EV buyers is crucial. Take a look at one great initiative from EMC member FleetCarma with simple and right to the fact videos. As an EV Ambassador, I invite you to share these videos all over your own network. EMC members implicated in the expert groups of the Canadian ZEV Strategy has done considerable work in the past months to bring clarity to the barriers and available solutions to achieve ambitious goals. EMC has presented its prioritized recommendations for the 2018 Federal Budget, focusing mainly on awareness measures, and the reduction of cost of ownership. The alignment observed from many stakeholders is promising. After being convincing on what needs to be done, we will need to be even more committed on how to work together in achieving these goals. The results of our recent 2017 membership survey indicate that regarding the access to EV information and our networking opportunities, your appreciation is greater by 10% compared to 2016. Your comments and ideas given throughout this survey will help us craft more initiatives for our members.